With the DNA sequencing industry in dire need of a solution to securely store sensitive data, companies are now turning to blockchain. In the past few years, blockchain technology has come out of relative obscurity to become a widely discussed topic across many industries and communities, largely thanks to the sharp rise in cryptocurrency prices. This has motivated technology companies to develop unique use cases for the technology, from logistics to media to now even healthcare. Case in point, a new breed of blockchain startups are planning to use distributed ledger technology to secure not only patient data but also full DNA genome sequences. Scientists have been working on DNA/RNA splicing in full swing for several decades now. The first major breakthrough came in 2001 when the first DNA genome was almost fully decoded. However, while that single study came at a projected cost of billions of dollars, similar tests can now be done by ordinary individuals with portable equipment for a few hundred dollars each. According to a study conducted by Grand View Research, the global targeted DNA sequencing market is estimated to grow from $4 billion a few years ago to $16 billion by 2025. DNA genomes are decoded and collected for several reasons, with the most primary one being to enable medical research on genetic diseases. Hospitals can perform DNA tests to confirm whether two individuals are related. Modern day companies such as 23andMe, on the other hand, provide testing kits that can be used to determine an individual’s ancestry or other similar details. At the end of the day, however, since DNA essentially comprises encrypted data, it has to be stored digitally. This caveat means that the DNA information of thousands, if not millions, of people can be stored by a company in a centralized database. In 2015, 23andMe announced that over one million users had used its direct-to-customer testing kits. While most companies handling this kind of data pledge to not sell user information, there is absolutely no guarantee that they will uphold that. Furthermore, given how frequently large corporations have fallen victim to security breaches, it is perhaps all but certain that the current system is flawed to some degree. If there were variants that put someone at risk for Alzheimer’s disease and you were vying with that person in a corporation for a job, you could somehow try to use that information to suggest that they might be unfit. You could be in a custody battle where DNA could suggest there’s a predisposition to psychiatric illness, for example. Given how dire the DNA storage situation currently is then, it makes sense that the healthcare industry is looking into employing cutting edge technology such as blockchain to solve its many problems. Information stored on a blockchain is completely encrypted and cannot be manipulated by a third party. Furthermore, it features immutability, which means that a malicious actor cannot retroactively change data once it has been recorded. This is also why the technology has been entrusted for financial applications worth billions of dollars. Nebula Genomics, for instance, is a blockchain startup that promises complete control over one’s genomic data. The proposed platform will allow users to securely store their DNA data on a blockchain, and if they desire, sell anonymized versions of it to researchers. The company believes that the use of a distributed ledger and digital token will allow the industry to get rid of middlemen and allow DNA owners to safely contribute towards medical research. Users will be able to sequence their genomes for under $1,000 on the platform, paid for in Nebula tokens. The pitch to the average person is that you’re not just monetizing your genetic data. We’re also going to provide you with insights, similar to what 23andMe and Ancestry.com do. Nebula eventually plans to help its customers understand whether they are at risk of contracting a particular disease. In another effort, DNAtix issued a press release that announced “the first successful transfer of DNA Sequence over the Ethereum Blockchain.” The proof of concept used a unique compression algorithm to achieve around 75 percent size reduction. Notably, a human genome is complex enough to spread over 100 gigabytes of storage when fully uncompressed. Private companies are not the only ones looking to leverage the sheer potential of blockchain for DNA storage. Earlier this year, the government of Indian state Arunachal Pradesh announced that it would design a blockchain database to collect and store data belonging to 50 million citizens. To achieve this, the government said it would work with biotechnology company Shivom to collect data. According to CEO Axel Schumacher, the project would help understand different subsets of the population and improve currently available medication for diseases. If the initiative in India is successful, it will surely not be the last blockchain-based DNA collection by a national government. 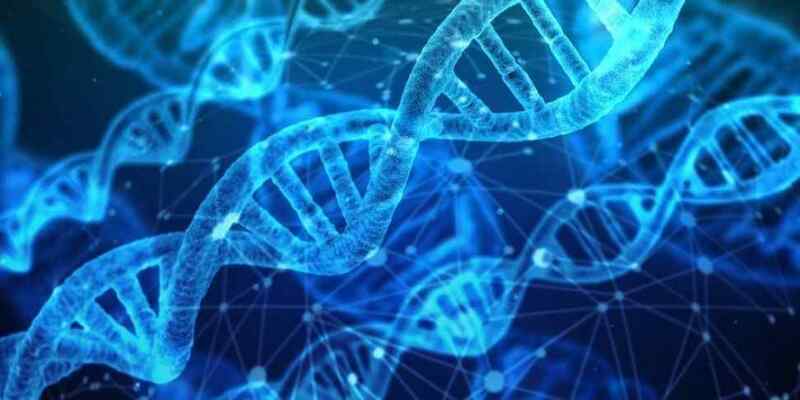 With dozens of private companies also pouring into the sector, it appears that the future of DNA storage and research may be fused to the blockchain revolution. The question then becomes will the benefits outweigh the risks. While there are countless potential health benefits to having an accurate public record of DNA information, the potential for manipulation and malfeasance is unprecedented. Will blockchain be part of the solution and help mitigate these risks?